Hey guyss! Today's post is all about a mani I shared on Instagram a couple of weeks ago. I loved them and a lot of people of Instagram and Facebook seemed too as well so I'm really pleased! 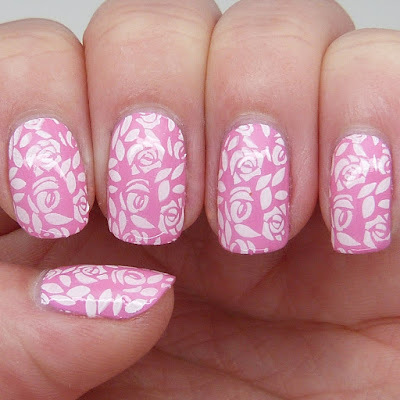 These were sort of inspired by someone else's nails I saw that were pink with white stamping but I feel terrible because I never took note of who it was...sorry! 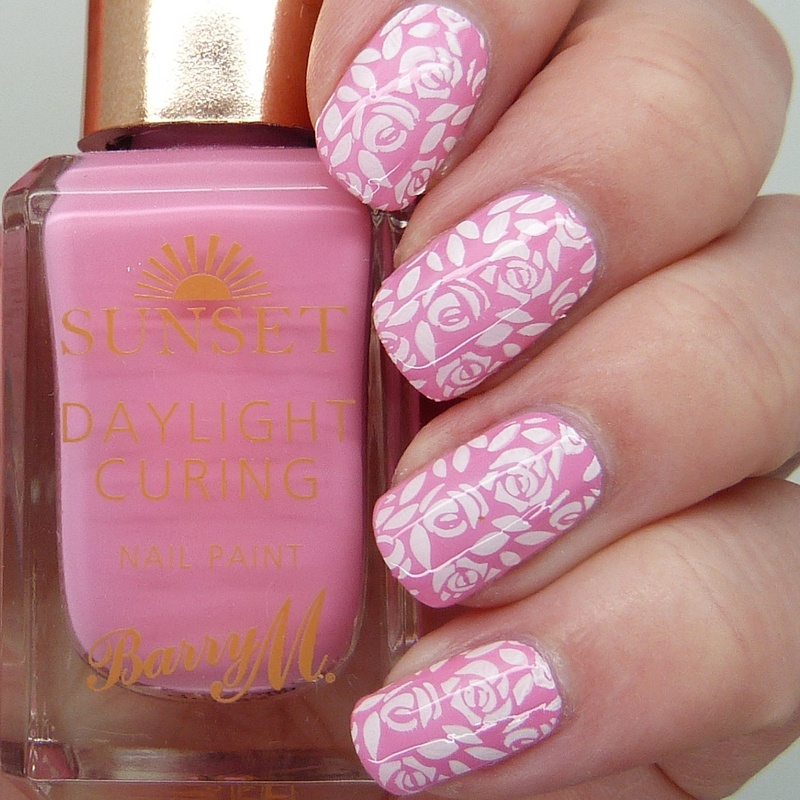 The base polish is Pinking Out Loud from Barry M's most recent releases into the Sunset range. I'm still seriously surprised by how much I love this polish! 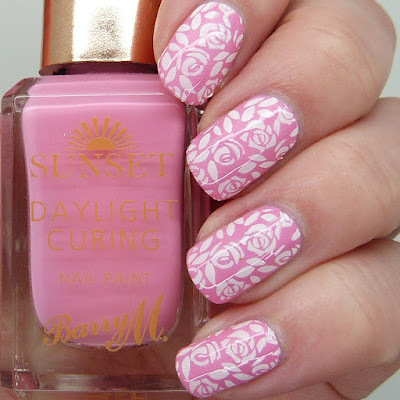 I stamped using Cotton (also from Barry M) and MoYou London Pro 08 plate. You can probably tell that I really like this plate, I've used it a lot. Never had a problem with pick up and I'm one of those lucky people who can use the small images on the plates as I have such little nails! Definitely need to get some more from MoYou as I only have four and I've seen so many others I love the look of! I'm so so happy with how these nails turned out. As I've said before, stamping sometimes works and sometimes doesn't for me and this was definitely a time when it worked and worked well! Haven't managed anything half this good since but hey. Also just wanted to add, I'm now properly starting all my revision etc for exams at the end of this month so posts may become slightly inconsistent again unfortunately. I have some things saved up for now so hopefully it shouldn't be too bad. Obviously I have to put my studies first so you'll just have to take what you can get I'm afraid haha! 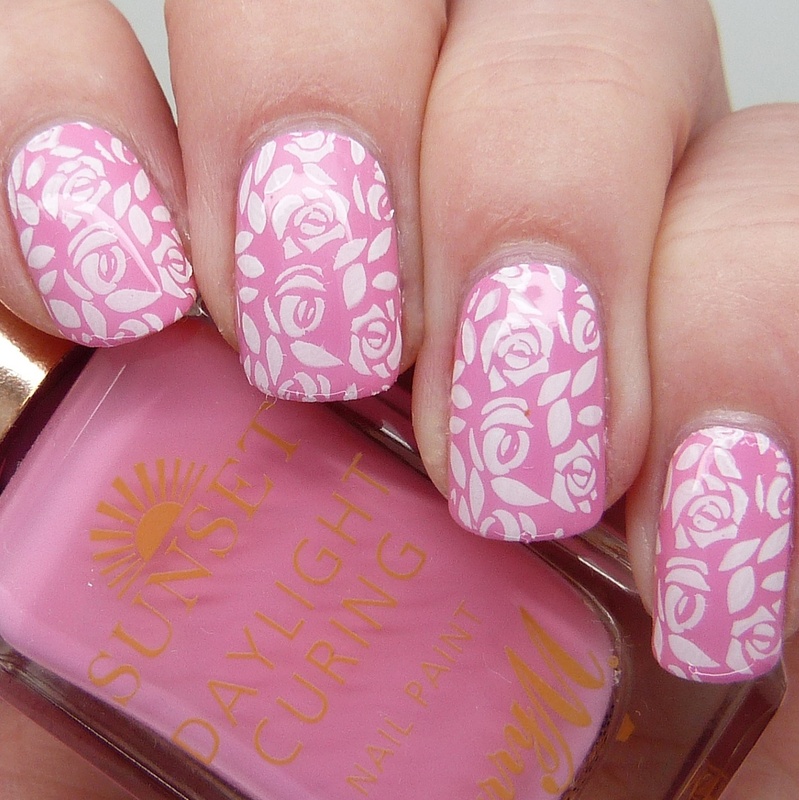 Love this nail art Abigail, it's gorgeous. 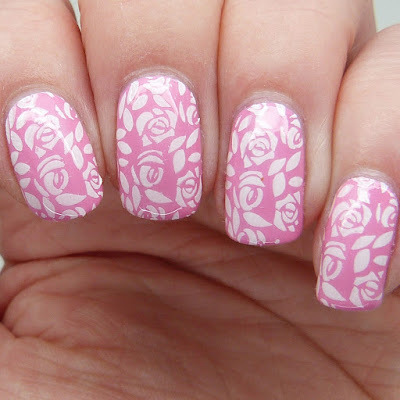 I've yet to master stamping, I need to keep practising. Hope your revision goes well & I look forward to seeing your posts when you're all done.